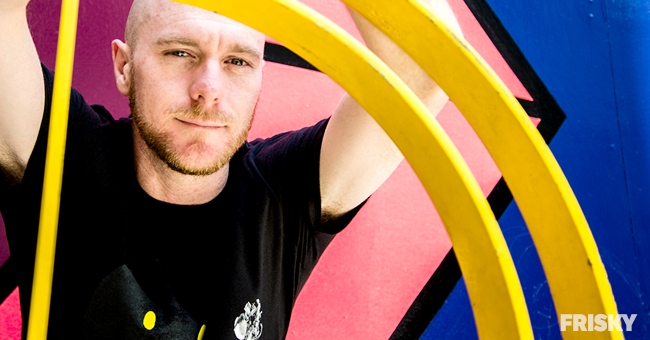 Kev Obrien has been a prolific contributor to the underground electronic music world, from running the internationally revered label Stranjjur, to delivering deep DJ sets to audiences around the globe, writing for the industry’s top magazines, and producing his own distinctive tracks, he has been in a never ending whirlwind of drive and dedication to the music for many years. Kev Obrien’s story is one that hard working artists everywhere can relate to and learn from: when taking everything to the limit there comes a point where taking a break from the chaos may be just what you need to find yourself back on track again. After shutting the doors on the success he had created, Kev has now returned back to the world he loves, with a refreshed spirit and new perspective, but with the same unyielding passion that can be heard and felt through all that he does. Eyedyllic Settings represents this fresh attitude and way of living. Featuring the sounds and feelings from his new Eyedyllic project, the DEEP show will feature mixes from himself and a variety of guests who are a part of the beginning that returns to the cycles and rhythms of the flow. 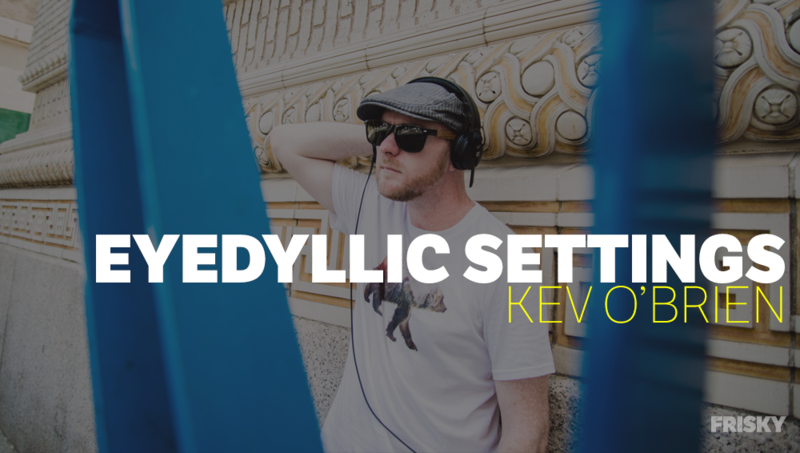 Kev Obrien’s story is one that many can learn from and appreciate, read on to discover for yourself, and be sure to tune into the premiere of Eyedyllic Settings September 20th @ 1PM EST [convert timezone]. Wow, it’s really incredible to think back to it now, because it’s got me realizing how quickly time flies. 21 years have passed since my first actual exposure to electronic music and the incredible rave culture that existed back then in Florida, which is where I spent my formative years until moving back to NYC ten years ago. 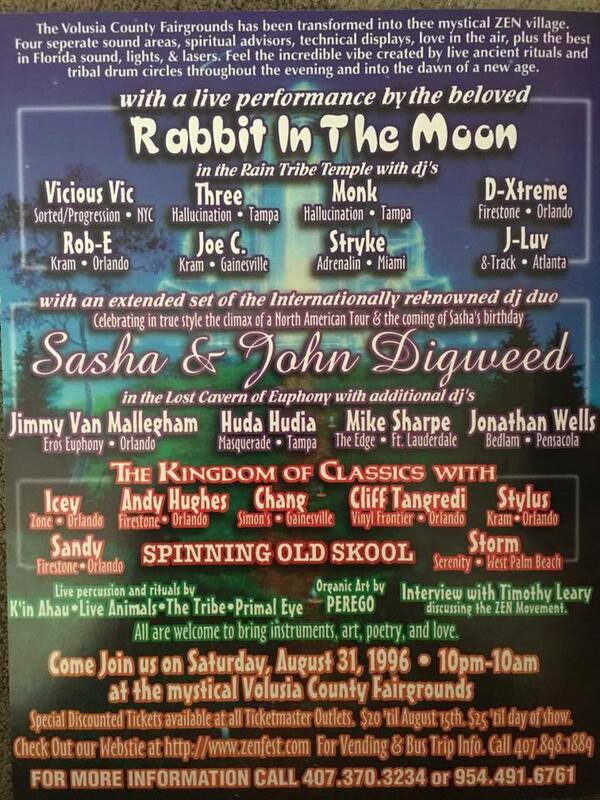 To make a long story short, it was at Zenfest 1996 in Central Florida. Prior to a friend if mine convincing me this was something worth going to, my only exposure to any sort of electronic music was really by way of acts which were breaking through to the mainstream by the time, such as Robert Miles (Rest in peace, my friend. ), Moby, and Orbital. My life was changed after my first experience at Zen, it was my first rave and first time seeing a live electronic music act, which was Rabbit in the Moon. Then there were Sasha and Digweed, DJ Three and well….to be honest, those are the only three I needed to remember. Outside of the music and performance of Rabbit in the Moon, it was the family atmosphere of openness and love that sucked me in. I was hooked, in a big way. After a couple of years going to raves, I wanted to create an easily accessible way for fellow “ravers” to connect and learn about, remember and discuss the amazing events that had by that point become the single thing I lived for. 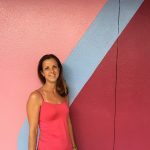 I started studying html and developed a site which primarily served as a home for joining a group email list, which eventually grew close to 10,000 members! That site and mailing list is responsible for many friendships I still have to this day and at any given event, there could be 50 to 100 or more people walking around wearing the badge I created which helped us all find and meet one another. it was the first thing I ever created and was proud of. He’ll, I’m still proud and even run into old pals from our huge crew from time to time at parties! An old and tired version last updated around 2000 still exists online to this day. Running the website and mailing list naturally put me in contact with a lot of people in the scene so I began throwing parties and dabbled in DJing and production a bit, but never really as a dedicated thing until I moved back to NYC in 2007. I read that you recently took a hiatus in order to reset yourself. Could you share some of what you learned in the process and where it has led you to today? Whoa boy.. I hope you’ve got nowhere to be for awhile, because it’s difficult to explain what I learned without really delving into what made me take a walk away from music in the first place. It was more than simply walking away from music for a while because I wanted a little break. It was walking away from my life’s dream, just as it was in view and coming to fruition. Lesson one, in retrospect, is that sometimes in order to have everything we truly want and be happy, we must be willing to give up everything we have, especially the things most important to us. Anyhow, 2012 and 2013 were very very exhaustive and intense for me. Yet rewarding and eye-opening in so many ways. 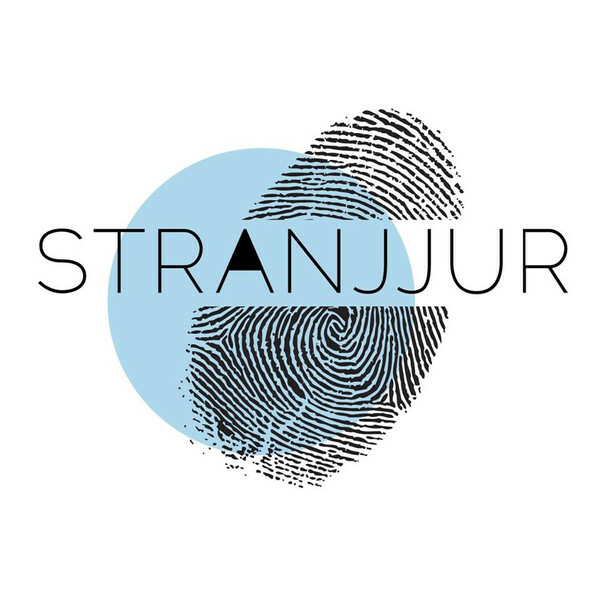 Not only was Stranjjur growing and becoming far more of a success than I could have imagined after only a year or two as a label. We were working with Sony, Universal, etc.., running our own booking agency for ourselves and our artists, plus DJing and spending 5-12 hours in the studio most days. it was a lot of work) I also got married and divorced in that period as well, which was mostly due to my obsession with the label and feeling it was necessary to focus more on the future and where things were going, than to “waste time” as I saw it, spending time doing things like enjoying life or appreciating what was happening. It was all about me knowing where Stranjjur was headed and it’s hard to say what woke me up, but I definitely experienced a period of “enlightenment” following a stint of gigging and networking collaborations in Europe. Despite the success and the arsenal of releases we had in the pipeline, I was in a state of severe depression, had totally isolated myself and would go weeks without seeing or talking to people, outside of Facebook or Skype. I felt empty inside, and I was miserable. I knew this was all bubbling up for some reason and I needed to learn a lot of lessons from the entire experience, so I started plotting a slow ending to Stranjjur, which would come after all the releases we had slated were released. Well, none of those releases ever came out, because I also learned that it’s impossible for me to be half-in when it comes to anything I am involved in or working on. I am built by and run entirely on passion. It’s got to be all or nothing. I looked on Craigslist one time and replied to one job ad. 3 days later, I started working for Greenpeace. By doing this, I was stepping out of my comfort zone in a big way by becoming a street canvasser on the corners of New York City, stopping total strangers and talking to them about dolphins and climate change — things which hadn’t mattered to me until the months preceding, when I was going through my “awakening”. My job with Greenpeace and activism in general slowly became my passion. Electronic music became an afterthought and eventually ceased to exist in my reality any longer, and that continued for 2 years. I am a firm believer that in order to be truly happy, and in order to make others feel happy as well, you must do something that invigorates you and makes you happy. Something that keeps you up thinking about at night and makes you set your alarm earlier anyway because you are so amped and excited to take on the day. Greenpeace became to me what music had been in the beginning, and it didn’t feel like a job. The moment it did, I left the organization and moved on to doing something else which made me far more money and much happier. That is one of the big lessons I learned during my hiatus. I made a personal pact to never have a job if it felt like work. During the 2 and a half years spent away from the industry, I stopped listening to any electronic music, went dark on Facebook and social media and spent that time learning invaluable interpersonal skills, reading dozens and dozens of books by authors like Osho, Alan Watts, Eckhart Tolle, and many others, on spirituality and philosophy. I was making amazing friends who I could trust (something I found very hard to do in music, as I was very egocentric back then and felt everyone was out to gain something from me). Eventually, as serendipity does, this all led me to ending up in a living situation with a couple, who just-so-happened to know tons of the same people I knew in the music scene, which got me back out going to parties again, and eventually led to me dabbling around making mixes and going back to having a social media presence. It didn’t take long to realize that some of my trust issues in the business were not unwarranted, as there was no welcoming wagon or much care in the world from the vast majority of people I had considered “friends” prior to my hiatus. The few people that seemed like they were genuinely welcoming and happy to see me back were the types of people I realized I wanted to surround me this time around. The one commonality is that they too were also in music for the love and passion of the music, not for accolades or having huge expectations. Nothing is the same as it was a year ago for me and it’s due entirely to my commitment to doing only that which I love, never doing something if it’s just for money, and surrounding myself with people who do the same. Once you make those choices, you’re choosing love over money, essentially. Once you choose to do that which you love, the universe makes sure the money will come — somehow — as long as you keep doing what you love and love the people you’re doing it with, there is not a single thing to worry about or focus on other than appreciating the moment. I quit my job in May and bought a ticket to Berlin for Nov 1 with the money I had. By mid-June I was fully sustaining myself financially doing things I love, working on my own terms and schedule and naming my own salary for doing so. It’s quite amazing actually, if I do say so myself. That is amazing and inspirational, a journey that many can learn from, thank you for sharing your story. Is there something today that you aim to express, or a message that you want to share through your music? To me, music is a language I use as often as English, and I discovered that I had a real passion and gift for telling the story about how I was dealing with my divorce through a mix series called “Heart of my Sleeve” in 2013. Fans and supporters were commenting and sending me messages telling me how these mixes were relating to them on personal levels. I began noticing my stats showing people listening to these mixes 100 times or more in some cases, in a short 2 or 3 month span. To answer the question more directly, I aim to express what I feel inside and whether its a track, a pre-planned mix or a gig, I always aim to tell a story which is usually a deeply personal one. What do you think is the most important quality that music you create or mix must have? Love. There’s got to be love poured into the music and it has to come from a genuine place where genres don’t exist. The difference, to me, between decent music and amazing, timeless music, is the loving energy and emotion that transfers from the artist to the listener when they press play. Sure, they can manufacture pop stars and write their songs for them, but those are generally songs aimed at a very young demographic, which is why we can all name some terribly corny music that we loved as kids. Give me heart and soul in the music you’re serving me, or give me nothing at all. What is the philosophy behind Eyedyllic music, and what can we expect to hear on your show? The philosophy that Mik (my partner in the label) and I decided early on in developing and planning the label, was that there was only going to be one standard or rule of thumb for music which we release on Eyedyllic. It simply has to be beautiful and heartfelt music. The name is clearly derived from the word idyllic, and I immediately think of beautiful settings of paradise when I hear that word. Which is why I named the show Eyedyllic Settings. You can expect to hear beautiful, heartfelt music. I don’t play, make, or sign music based on genre as I feel it’s self-limiting to do so. Good music is good music! Indeed Kev, thank you so much for sharing! Be sure to tune into the premiere of Eyedyllic Settings September 20th @ 1PM EST [convert timezone] or listen on-demand anytime after with FRISKY Premium & on our mobile apps.